UPDATE: We’ve put on our charity hat and will now be holding this event as a benefit for the victims of the recent flooding in Nashville. 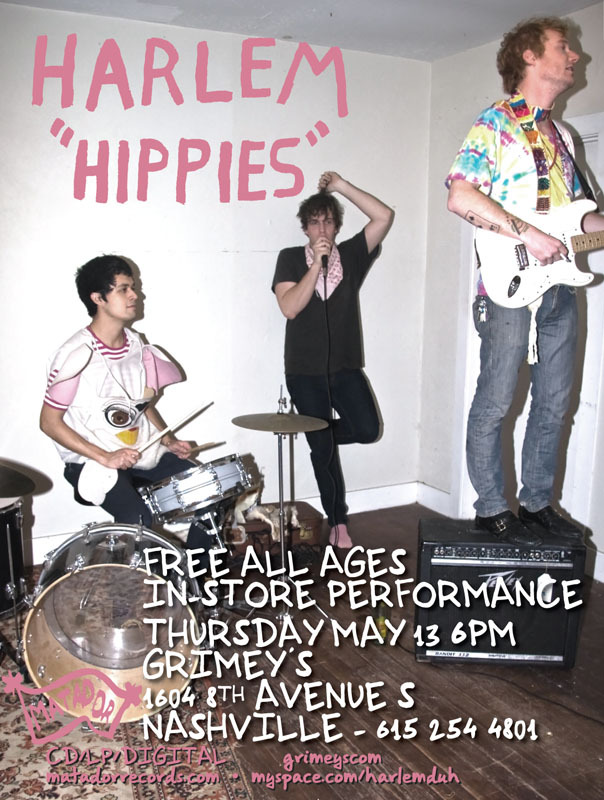 If you plan on attending Harlem’s free instore next Thursday May 13 please bring donations, non-perishable food items, spare clothing, whatever you’ve got. The wonderful staff at Grimey’s will be handling the intake of all donations with food donations going to Second Harvest Food Bank and monetary donations going to Hands On Nashville. Thank you. This. This is why I love you guys.